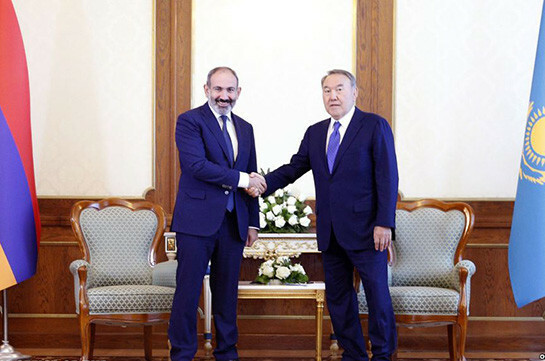 Armenia’s Prime Minister Nikol Pashinyan had a phone conversation with president of Kazakhstan Nursultan Nazarbayev who announced about his resignation hours ago, stating that hence he will not have the authorities of the president of Kazakhstan but will remain the chairman of the country’s security council and head of Kazakh ruling Nur Otan party. Armenia’s premier stressed the invaluable role of president Nazarbayev in Kazakhstan’s progress and development and his big contribution to the integration process in the Eurasian region. 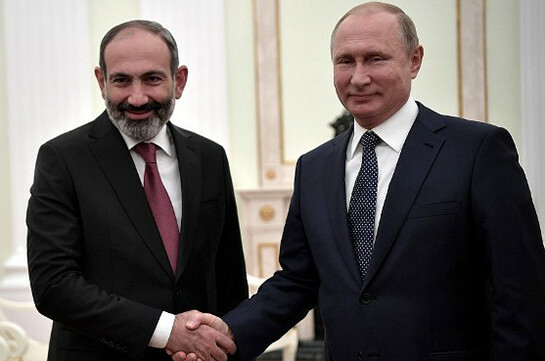 Pashinyan highly assessed the friendly partnership between the two countries and good personal relations established between them. He wished Nazarbayev success in his further activity. The parties also reached arrangement to meet in Astana in the sidelines of jubilee summit of the Eurasian economic union on May 29.